Hiring compliance violations are on the rise in the United States. Missing employee documents, inaccurate personnel information and a general lack of awareness of hiring requirements are common culprits causing stiff employer penalties. 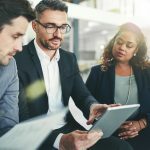 Here are three ways organizations can optimize their processes to improve personnel file accuracy and ensure compliance with hiring laws. Before automating your organization’s hiring practices, it is important to understand employment laws at the federal, state and local levels. With multiple legal jurisdictions over hiring activity, there are a wide range of requirements that should be built into your organization’s automation strategy. For instance, the federal government’s Immigration Reform and Control Act (IRCA) requires that employers verify employees’ eligibility to work in the US prior to their first day of work. In addition, state laws across the country enforce strict guidelines for granting employee access to personnel files, such as Connecticut’s mandate that employers furnish all performance-related documents to an employee within seven days of his or her written request. Since failing to furnish employee information in a timely manner can result in costly fines, it is important to identify missing or incomplete personnel documents in your organization’s archives. An effective tool for easily completing this task is enterprise content management (ECM) software, which can automatically store and classify I-9s, W-4s, employment applications and more. For instance, the Iowa Tribe of Oklahoma uses an automated workflow that monitors the contents of its requisition folder to verify that all necessary hiring documents are on file. If any documents are missing, the workflow sends an email to human resources (HR) with a list of documents the department still needs to collect. Once the system verifies that no further information is missing, the workflow moves the documents to a pending hire folder and notifies HR to generate an employee number for the new hire. At this point, the tribe’s HR department can rest assured knowing that it has collected all legally required hiring documentation. Failure to accurately maintain this information can result in strict fines and incorrect wage calculations, which makes it important to establish efficient, standardized methods for updating personnel files. When the Waterloo Region District School Board receives new employee information, such as an address or salary change, it uses an automated workflow to submit the update for HR review. If the information is accurate, HR approves the update and the system automatically revises the employee’s file. 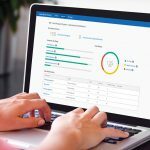 This workflow functionality allows the HR department to avoid recordkeeping penalties by quickly and accurately responding to employee information changes. 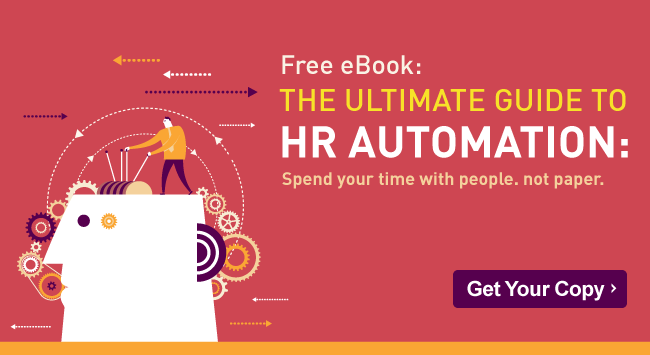 For more information about how ECM can help your organization optimize HR-related processes, download a free copy of The Ultimate Guide to HR Automation.